Nick Hannes was born in Antwerp in 1974, he lives and works in Belgium. He graduated from the Royal Academy of Fine Arts (KASK) in Ghent in 1997. For the next eight years, he worked as a photojournalist. In 2006, he stopped working for the press, in order to concentrate fully on his own documentary projects. Marked by a strong political and social component in which humor, irony, ambiguity and visual metaphors play a predominant role, his photographic approach asserts itself. In 2010, Nick started Mediterranean. The Continuity of Man, an epic project that involved twenty trips to 21 Mediterranean countries over a four-year period. 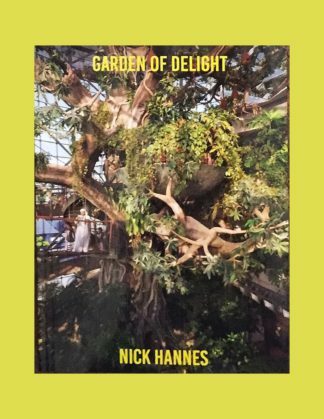 In “Garden of Delight” he presents Dubai as the ultimate playground of globalization and capitalism, and raises questions about authenticity and sustainability. Dubai’s rapid transformation from a regional trade hub in the 1960s to today’s ultramodern metropolis is a fascinating case study of market-oriented urbanization. Entertainment and tourism are the main economic pillars of Dubai. The development of this excessive entertainment industry in Dubai has greatly impacted the UAE society, and the population of Dubai today is mainly composed of expatriates, only 10% are local Emirati citizens, whose traditional Islamic values ​​are called into question by the imported western lifestyle.